Here are some selection of most popular day tours and excursions provided by our company. If you want some other tours let us know and we will send you proposed itinerary and quote. 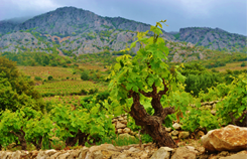 After a drive along the Adriatic coast, the road will lead us towards the hinterland along the rich Neretva valley in the direction of the small town of Pocitelj in Herzegovina. There, you will discover an exquisite blend of Mediterranean and Oriental architecture. 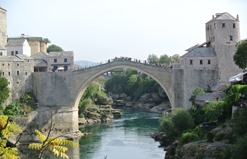 Mostar will be our next stop. Despite great damages suffered in the last war, the city on the emerald green river of Neretva has preserved a great part of its authentic oriental architecture and the way of life conceived on the boundaries of civilisations. A visit of the ancient part of town dating from the 16th/17th century will include a visit to a typical house dating from this period. 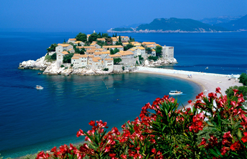 Hardly one hour from Dubrovnik, the Montenegro Littoral provides incomparable natural beauties and an abundance of historical sites. Our drive takes us to the mouth of the Bay of Kotor and along the curving roadway through the towns of Risan and Perast to Kotor. Here we will stop to capture forever on film one of the most beautiful parts of the bay, and learn some of the compelling history of this area. Our descent from the heights will take us to Cetinje, the one-time seat of Montenegrian rulers, today a city-museum. After sightseeing in Cetinje we return to the coast with a short stop above Sveti Stefan and Budva. 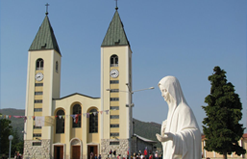 Join our tour to experience the spirit of Medjugorje. Discover and experience the phenomenon that has made Medugorje one of the most famous places of pilgrimage throughout the Catholic world, attracting millions of visitors. been attracting millions of visitors from all over the world. After Mass, those who wish may visit the Apparition Hill where the Virgin Mary first appeared to the children. Dubrovnik Airport Taxi - Radulovic Ltd is a private company and we don't represent other taxi drivers in Dubrovnik. 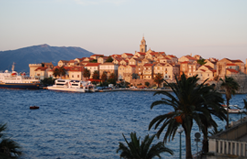 This website is not associated with Dubrovnik Aiport LTD.